Aside from evaluating price plans, portfolios, and reviews of web design companies, what is the most important factor you should consider when picking an agency to help you start your online business? The after-sales services, of course! Webcada is the FIRST and ONLY web design company in Singapore that provides CONTINUOUS BUG FIX and ENHANCEMENT to your website even after you have launched your site! Defying the norm, we roll out upgrades and fix bugs from time to time to better enhance the performance of the existing system. All these efforts are tediously maintained because we genuinely believe in delivering the best to our customers. Imagine purchasing your iPhone without any iOS updates… Wouldn’t that be horrible? Apply the same trend of thought to your website. No one should compromise on quality! Be a smart business owner of your online store, and the benefits you gain from picking Webcada will reflect in the happy faces of your customers as they enjoy awesome user experience! Are you ready to embark on a new journey to explore greater heights with us? Our partners believe in Webcada because we care. You do not have to be an expert in e-commerce to start a webstore because we are here to assist you! As a web development agency, we understand the compositions of a successful e-commerce website! Be imaginative! We are here to help you realise the design of your webstore. Help us understand your preference and need. Your website will be reflective of your brand identity and product listing. Webcada has tailored its CMS platform such that it is extensive but dummy-proof! We work earnestly to make sure that managing the content of your website is as light as breeze. We recognise the importance of ranking on search engines! Actively, we have been seeking ways to help our partners enhance their ranking through our search-engine friendly CMS platform. Yes, we know that it can be a pain to enter shipping rates! As part of our plan to achieve greater efficiency, our system has included a simple module that allows you to sync updated rates from our central server. Of course, payment is essential to keep your business running! By default, we have integrated PayPal and ATM/ Internet Banking as our payment modes. Cash-on-Delivery or Invoice-to-Company are offline payment methods that are available. Thinking big? We can help you set up other payment options, including WorldPay, AsiaPay, Telemoney, and Red Dot Payment. We aim to accommodate all methods of shipping calculations. There are fixed rate and weight-based methods you can opt for to best suit your requirements. We have an elaborate discount module that allows you to pamper your customers when you are feeling generous! You can provide incentives to entice potential customers through our rewards module! It can help you grow a base of loyal supporters and promote your store at the same time. Order processing has been made automated as much as possible. Our system is designed to enhance both front-end and back-end users! Orders can be processed and updated in bulk to make operations efficient. An essential tool of Inbound Marketing, blogging serves as a great way to increase your web traffic! 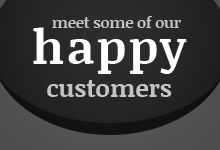 We have a blog module that allows you to communicate with your customers. Are you envious of websites that display their fashion campaigns? Well, we offer a similar feature for you to showcase your beautiful albums on your website too! MailChimp is a powerful tool to distribute email updates to your newsletter subscribers! We are able to link your new sign-ups to your MailChimp account directly, eliminating the trouble of maintaining separate mailing lists. We cannot ignore the influence social media has on the performance of a business. Our platform enables you to link your many accounts to the website. Integrating Google Analytics to your website allows you to analyze the behaviour of your visitors. It will help you find out and create new marketing strategies to better improve your business!